Tomorrow I will go to Amsterdam to attend the second annual Quantified Self Europe conference. Quantified Self is a strange term that few understand, and I think it will stay that way. But I am convinced that the tools and services that are emerging from the QS movement will soon be integrated into our lives and taken for granted, not least in the health care sector. That’s why I enjoy attending events like this, it is a taste of the future! My feeling is that the QS movement is at the same stage as in the late 70s when Steve Jobs and Steve Wozniak attended the Homebrew Computer Club and showed their first Apple I computer board. Except that the QS development is so much faster than the personal computer was back then. 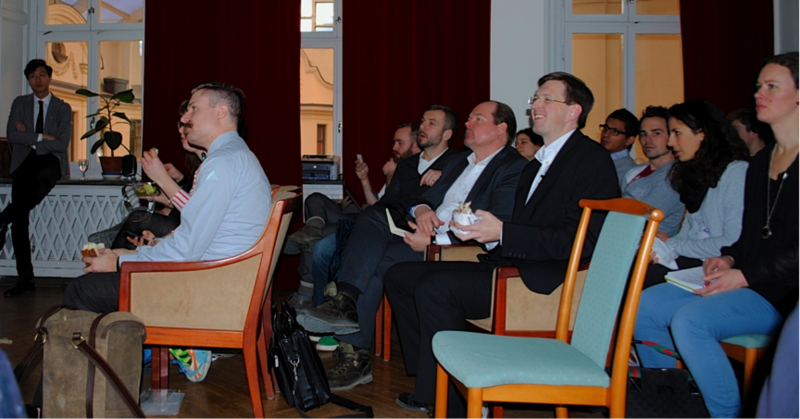 In late March we had the honour of having the founder of the Quantified Self visiting in Stockholm and our growing QS Stockholm group. 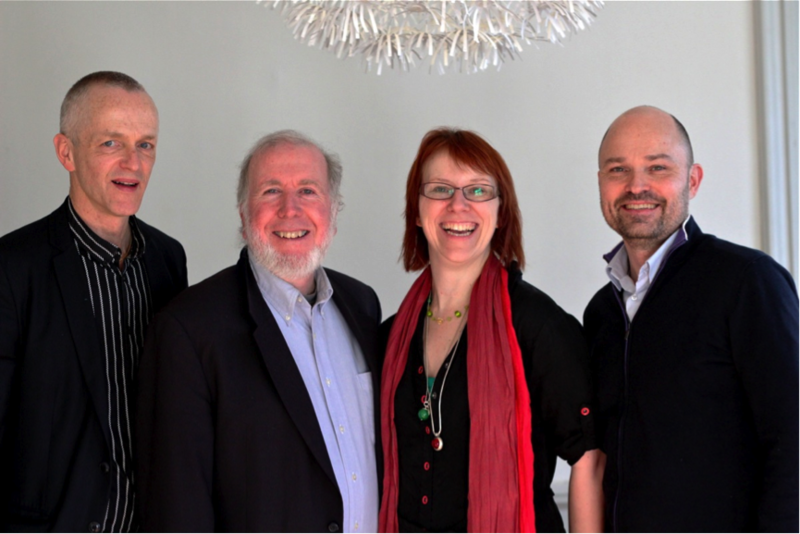 QS and Wired Magazine co-founder Kevin Kelly visited a cold Stockholm to speak at the Webbdagarna (Web Days) conference and we took the chance to invite him to a lunch meetup in the office of our friends at Psykologifabriken (The Psychology Factory). 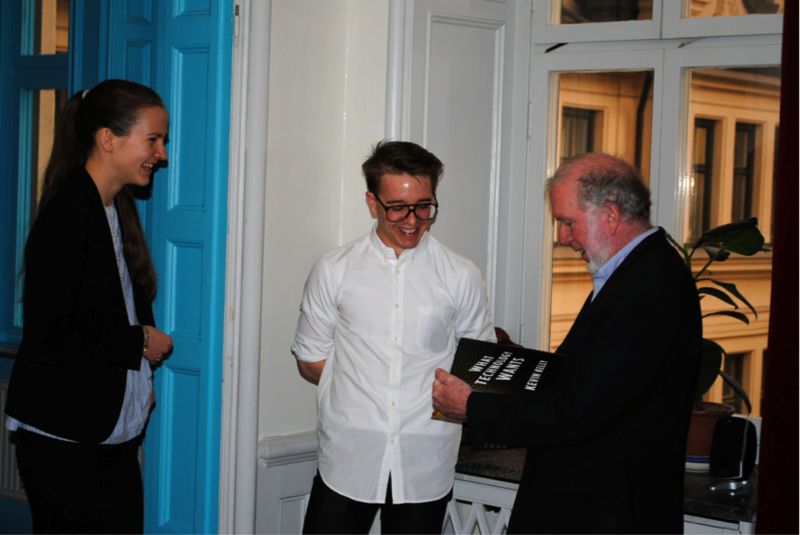 QS Stockholm co-organizer Henrik Ahlen had an interesting chat with Kevin to explore his insights and the story about how Quantified Self began. 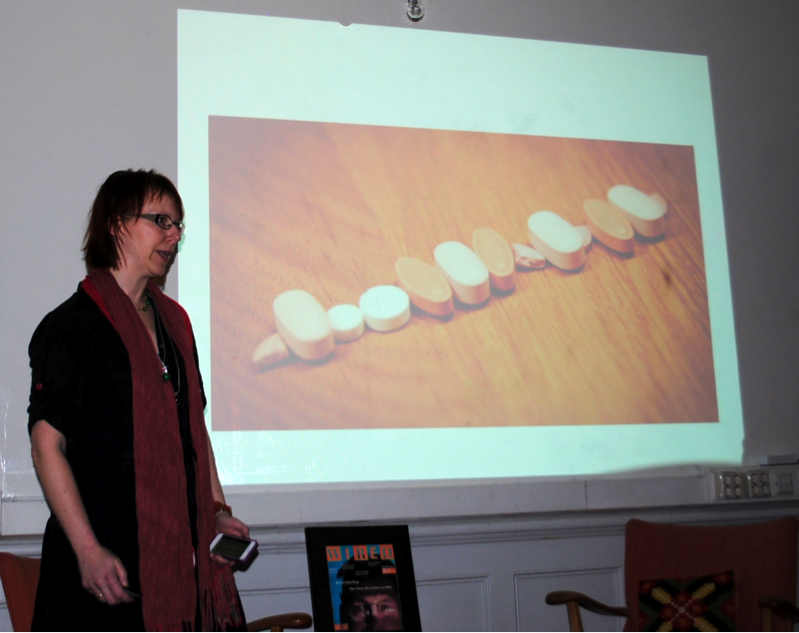 Before the chat, medical researcher and Parkinson patient Sara Riggare talked about her self experimentation with Parkinson treatment. Sara has a quite complex medication scheme with 6 different drugs, taken at 6 different intervals in varying combinations. By using a simple finger tapping test app on her iPhone, she could identify correlations between medication times and her mobility, enabling her to modify her drug intake timing to achieve a more even function. These self measurements will form the basis for a study at the Karolinska Institute, where the methodology will be offered to a larger group of people with Parkinson’s Disease. 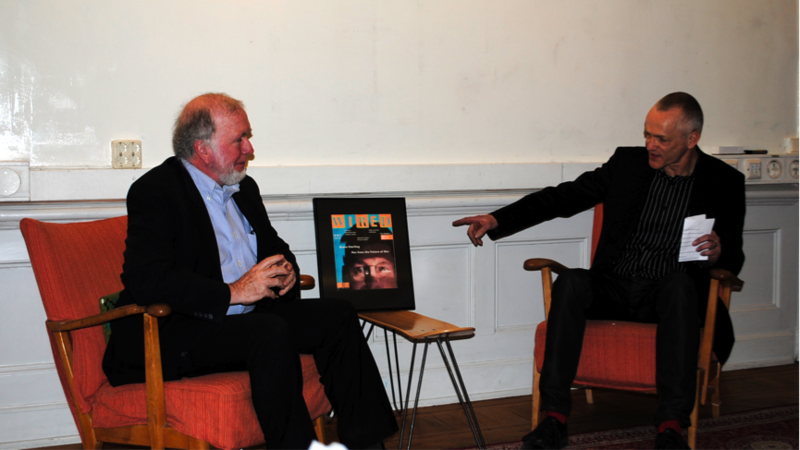 Henrik shows Kevin the premiere issue of Wired Magazine which he bought in London in 1993 and is still hanging on his kitchen wall, now also signed by Kevin! • In the beginning of science there was a lot of self experimenters with a curious mindset. Experimenting just for the fun of it! Everyone can be a researcher. • It is useful to create new sensors and measuring devices without exactly knowing what they will be good for. Someone will do something useful with it! • The ”no real agenda” kind of measurements that QSers do can lead to new and valuable discoveries. • Quantified Self enables ”the Science of n=1”, which has the potential to revolutionize healthcare. • The data from these measurements opens up for unanswered questions to be made. • Internet communities and Meetup gatherings such as Quantified Self empowers spreading of new ideas and finding others with the same interest to collaborate with. The audience was very engaged and came up with many questions to Kevin. Henrik also announced Health Hack Day (www.healthhackday.com) which is a 24 hour open, innovation hackathon in Stockholm, where creating and sharing ideas, technologies under the themes Healthcare, Selfcare and Wellness will bring new cool tools for Life Science. 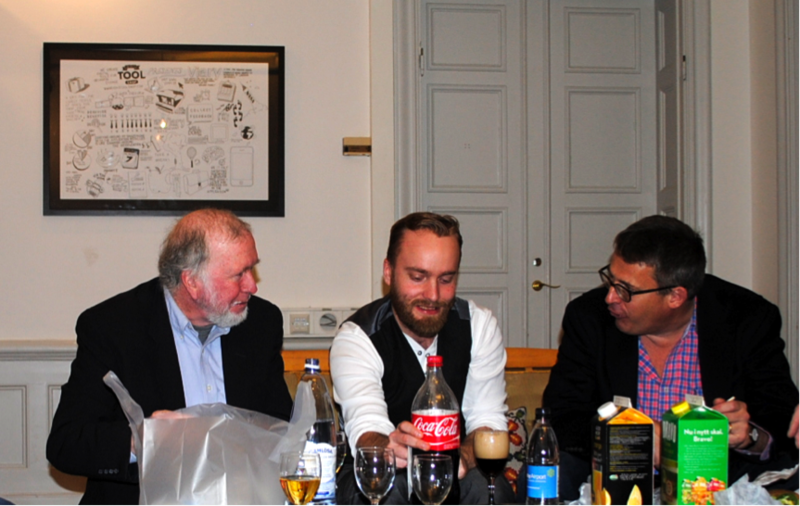 Henrik Ahlén, Kevin Kelly, Sara Riggare and Ola Cornelius saying ”Whiskey!” to the photographer John Airaksinen.